A gorgeously fragrant wine. Displays the freshness that we prize in the variety. Intense huckleberry or ripe cranberry aromas with flavors of fresh oregano and vanilla bean. An ideal food wine! Classic old world style; loaded with aromas of fresh blue fruits and strong notes of violet, followed by black pepper and a hint of vanilla. The pallet adds bright and juicy fruit flavors with mild tannins and a subtle toastiness from the oak. An animal-like nature with smoky lamb-fat and its rusted iron or wet stone-like character. It might be too rustic with these flavors alone, but our Syrah is also loaded with the smells and flavors of wild blueberries and lavender. Like cherry candy in the nose and mouth with just a hint of its true cabernet character. Strikes the perfect balance between fruit and sweet herb. French oak supports this balance by providing structure without overwhelming. Classic Pinot Noir aromas of ripe red plums, dried orange rind, and something herbal and sweet like fennel or tarragon. The mouth is firm and juicy and therefore the perfect foil to just about anything you love to eat. Black licorice and cassis are often hallmark attributes of Kuleto Estate cabernet, and this wine has them both in spades. In the mouth, the wine arcs gracefully over the mid-palate and melts over the sides. All about fruit sweetness and seamless wood integration. The goal for our ‘Danielli’ is to make the most flavorful and supple wine possible. An uncommon purity to its aromas consisting of fresh ripe berries or plums, fresh bay leaves, fresh meat or blood (iron? ), the first smoke from a fire. Smells like the best berry pie you ever encountered with enticing aromas of baked blue and black fruits, butter, baking crust, cinnamon, sugar, and maybe even some toasted hazelnuts on top! An in-house favorite! 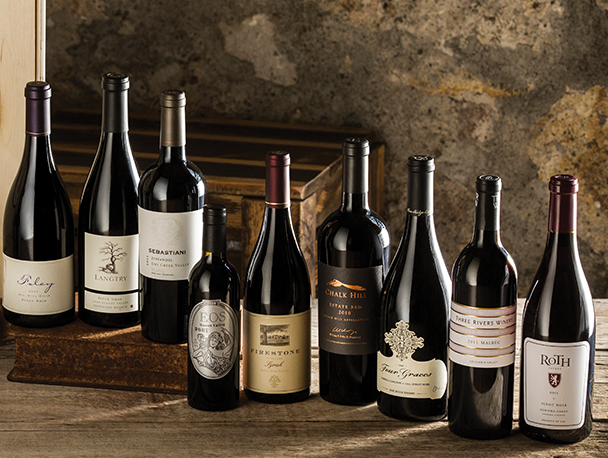 Lots and barrels selected for this wine share common flavor and structural attributes that highlight bright red fruit and a balance of sweet and savory spice aromas.